Members who were sitting on the Borough Council between 2011 and 2015 produced annual reports setting out meeting attendance and details of other council business. To request copies of a Member’s annual report please contact Democratic Services quoting the Member’s name and year of report: committee@tunbridgewells.gov.uk. Since 2015, this information has been recorded on our website via each Member’s profile page, as above. 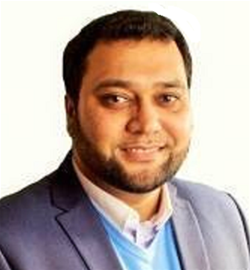 Bodies affiliated with: Member of Mela Steering Group (2005 – current); Former Tunbridge Wells Mosque Secretary (2010 - 2014).